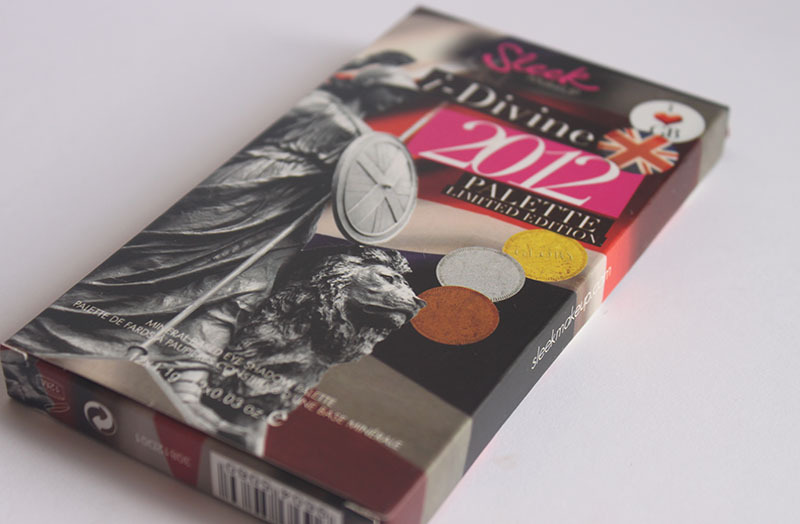 I have two Olympic themed posts for you today, the first is about some Olympic themed eyeshadows. As always when there is a special event cosmetic brands see it as a good chance to release new products themes around it. It is not only high end brands that do this but also high street, inexpensive brands. Today I have two inexpensive eyeshadow palettes inspired by the Olympics and you still have some time to go out and buy them if you too are striving for Gold. 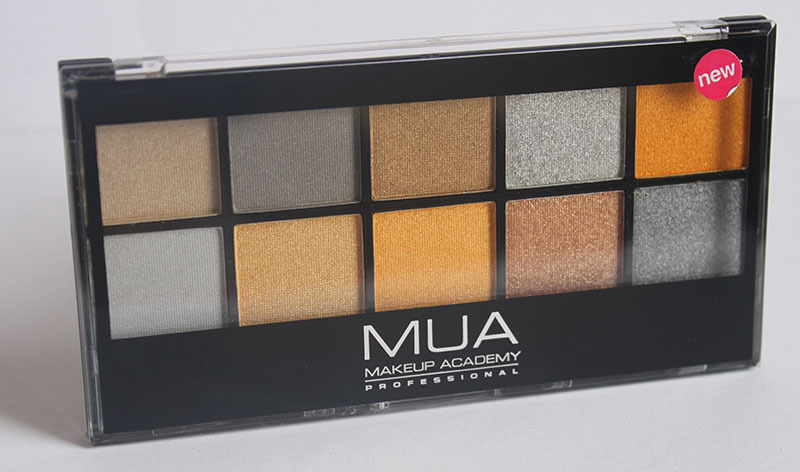 First up is the MUA Going For Gold Palette filled with gold, silver and bronze eyeshadows to help you achieve a winning makeup look. 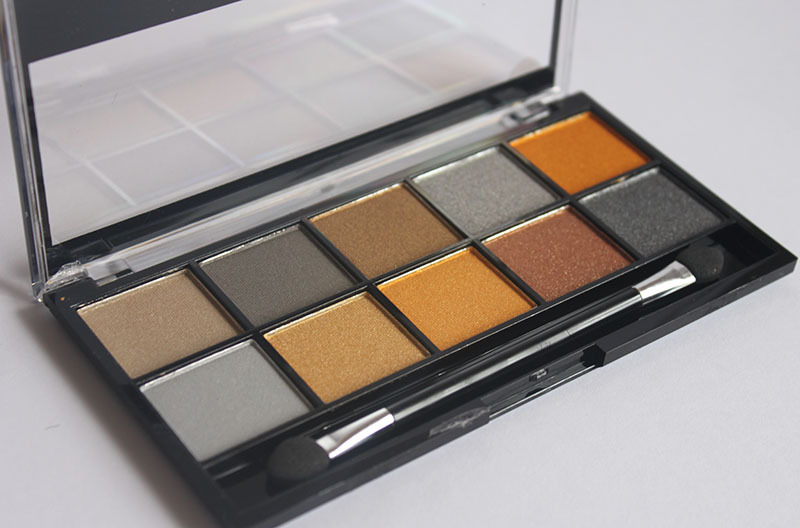 You may remember that the usual MUA palettes contain round eyeshadows however this one is a little different with the square shaped shadows, I actually prefer this one as it looks more full. 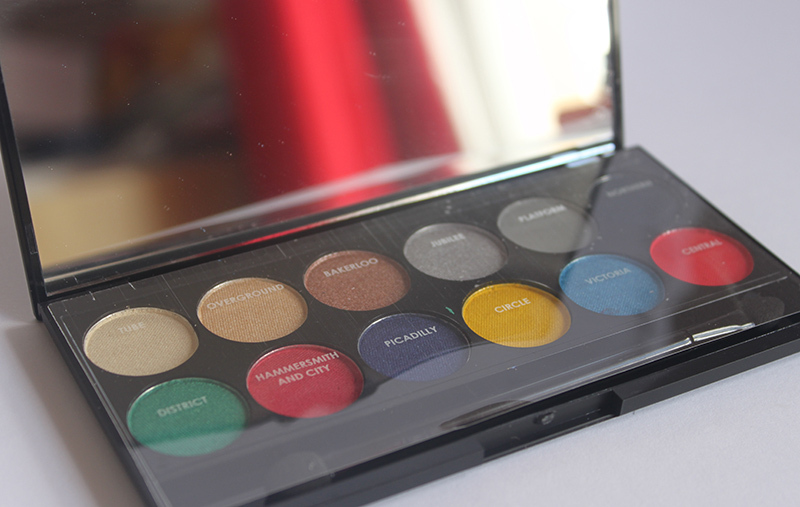 The colours are all shimmery but range from light lid colours to great smokey eye shades. 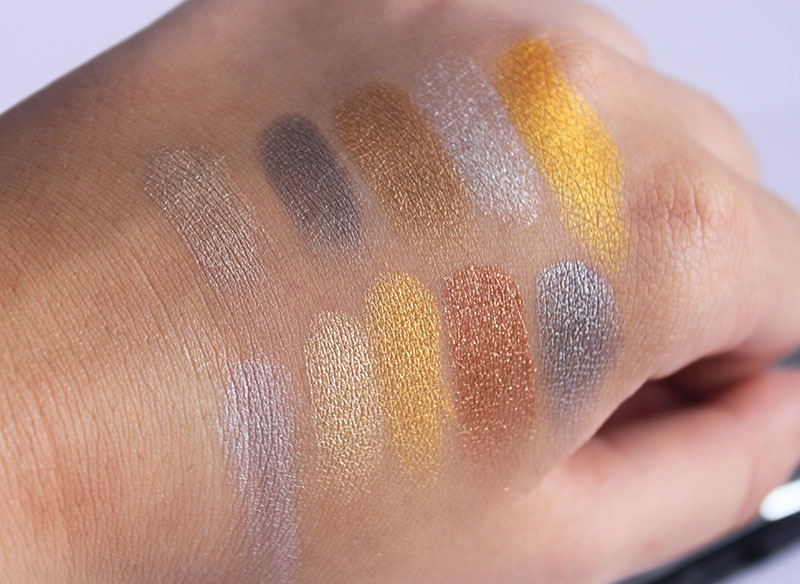 I love the idea of this palette but I do feel that the gold, almost orange shades aren’t as wearable as I would like but the silver and bronze shades are pretty standard. And the best thing about this palette? The price tag! Only £4 for 10 highly pigmented and largely (other that that top right) wearable eyeshadows that you will be able to wear in winter and summer and that would come in great use around the festive season later in the year. If like me you are a Londoner this is probably a palette you will enjoy simply for the patriotic box but mainly because the eyeshadows are named after the tube lines. The colour choice isn’t quite as obvious as in the MUA palette but after a little research (I had to read the press release to work this out) I found that it actually corresponds with the colour of each tube station on the tube map for example the district line is the green one. 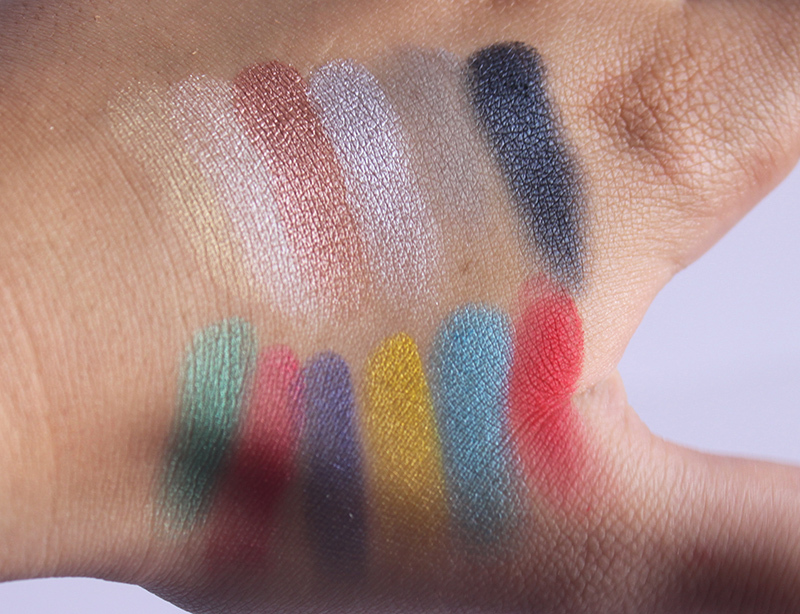 Most of the shades are shimmery but most are still highly pigmented and easy to blend. 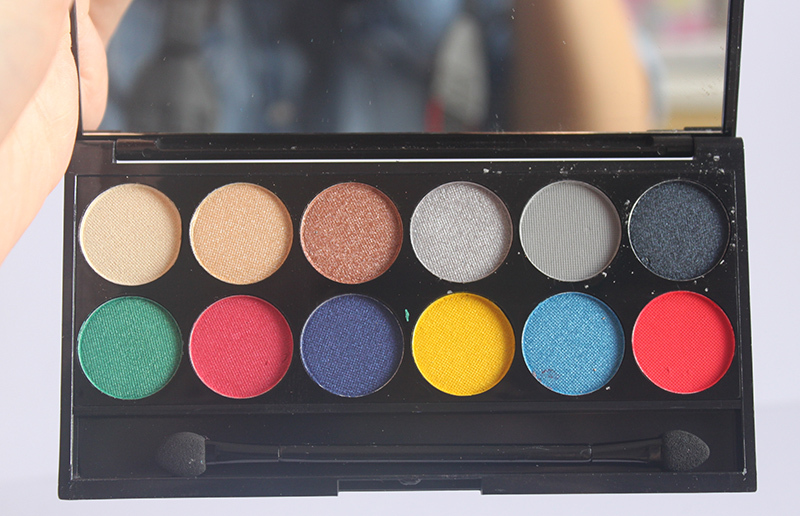 I don’t think this is an overly wearable palette and I can’t see my self using too may of the colour but I still love this palette and think it would even make a great souvenir. At £7.99 this palette is almost double the price of the MUA one but you do receive 2 more colours and a huge mirror. Simply for the names of the colours I love this palette but there is no question that the other is a little more wearable. Both Palettes are limited edition and available from Superdrugs now. Are you excited about the Olympics? Where will you be watching the opening Ceremony? Really fun palettes, agree with you on whether Sleek's colours are all that wearable, but would love to snap up the MUA one for £4! Absolutely beautiful colours! The bronze is my favourite. Oh they both look fabulous!